Mid-year Resolution Check-in: How are Your Profit-building Plans Going? In a January blog post, we discussed five New Year's resolutions your hospital should make to grow profits: improve the patient experience, outsource key revenue cycle functions, focus on the continuum of care, reduce readmission rates, and hire hospitalists to manage patient care. We also presented ideas for how to achieve success in each of those areas. Now that we're midway through the year, we want to check on your progress by revisiting each of the resolutions, identify challenges you may be facing, and suggest more ideas to help you achieve your goals. In the previous post, we said improving patient experience should be a chief aim for any hospital and cited a report showing hospitals that provided a superior patient experience saw margins grow by as much as 50 percent. Assess the current state of patient satisfaction. Use patient-satisfaction surveys to collect patient feedback and recruit members of the healthcare team to have brief, casual conversations with patients to ask for feedback. Define a "North Star." Determine what the ideal patient experience should look like, and then outline the steps needed to make it a reality. Engage key stakeholders. Building a patient-centric culture necessitates teamwork, integration, good communication, and an environment supportive of continuous learning. To make this happen, get feedback from everyone involved. Related Resource: Effective Communication, Compassion Keys to Patient Satisfaction, Risk Prevention in the ED. Also, check out our tools that help drive better patient experiences and improve patient satisfaction. The second resolution dealt with the need to outsource key revenue cycle functions. This was due to the difficulty hospitals face in collecting payments from self-pay patients and its subsequent effect on ROI. One solution offered was to partner with financial service experts to improve performance and increase revenue cycle efficiency. Schumacher Clinical Partners offers such a service. We help hospitals realize revenue cycle potential using a multi-dimensional approach designed to uncover opportunities for early gains, reduce clinical denials, and lay the foundation for sustainable future growth. We realize we can’t change the healthcare environment, but we can implement revenue strategies to enhance your financial profile. 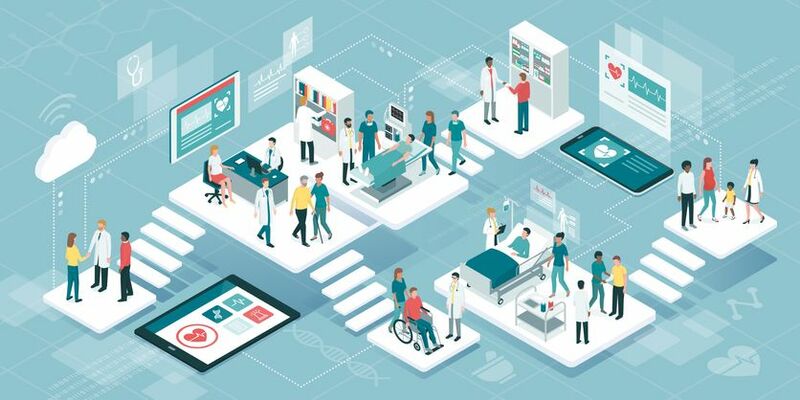 A third area discussed how the shift away from fee-for-service and volume-based measures to value-based care requires hospitals to look at the entire continuum of care to coordinate healthcare across the spectrum. We identified a resolution for a possible sticking point— that EM and HM providers should work in tandem to communicate more effectively and align their respective priorities to improve patient care. Jointly develop guidelines for specific areas of concern. Establish criteria for when to admit patients to the hospital versus when to send them home. Conduct monthly case reviews about outliers. Every hospitalist can remember that one patient who came to the floor and had to be rushed directly to the ICU or the few patients who came to the floor but were immediately discharged because they didn’t need to be there. Because these cases tend to be anomalies, mandated monthly case reviews can help provide context. Develop shared performance metrics. Shared performance metrics are some of the most powerful tools for influencing cooperation and professional behavior. Developing such metrics requires that hospitalists and emergency physicians work together to determine which are truly shared. Form a Joint Operations Committee. One of the best ways to put all of the above into action is to form a Joint Operations Committee (JOC). The JOC is a collaborative multi-disciplinary meeting to facilitate communication and teamwork among emergency medicine, hospital medicine, nursing, quality, case management, and other stakeholders that interface with EM and HM services. It provides a structured model for teamwork that fosters collaborative EM-HM communication and multi-disciplinary perspectives on challenges faced by clinicians and patients alike. It’s a strategic failure for HM and EM programs to focus on separate functions rather than pool their efforts collectively to benefit patients. Forming a Joint Operations Committee that meets monthly is one way to solve that problem. Next, we pointed out the ways readmissions impact a hospitals' bottom line, not the least of which is that both private insurers and patients scrutinize the high cost often associated with readmission. One recommendation we made involved directing patients to attend post-acute office visits. To address that issue, SCP has launched a post-acute program to identify high-risk patients and order home health assessments for those who would benefit. 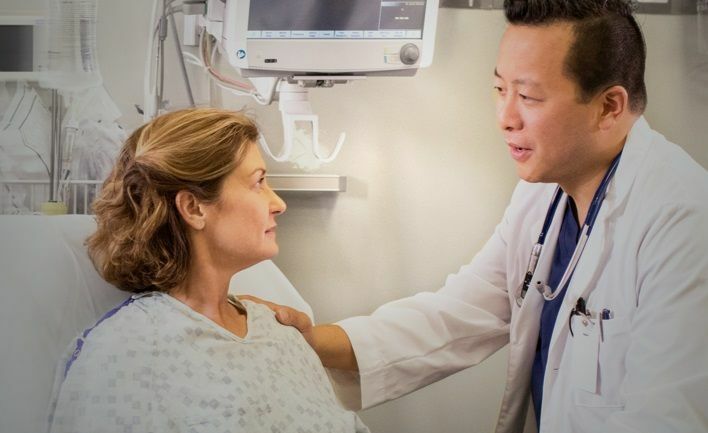 The patient experiences fewer ED encounters, improved safety, and a smoother transition in the continuum of care, while the hospital sees a reduction in readmissions including the associated costs, and increased patient satisfaction. The last resolution discussed the need to hire hospitalists to manage patient care. We recognize, however, that not all hospitals can easily staff hospitalists full-time. Two viable alternatives include the use of a telehospitalist and/or hiring nurse practitioners (NPs) and physician assistants (PAs). Employing telehospitalists is ideal for small-to-medium-sized facilities with an average daily census of fewer than 60 patients. It allows such hospitals to provide more cost-effective hospital medicine services while maintaining quality care, documentation compliance, and patient satisfaction. Telehospitalist programs also enable hospitals to continue a relationship with post-acute patients discharged from the hospital to home. Another cost-saving option is to hire NPs and PAs. Lower costs. HM programs staffed by NPs and PAs working alongside physicians can save a facility as much as 40 percent in provider costs versus a program staffed by physicians alone. Shared workload. By taking on lower acuity patients, NPs and PAs share the workload enabling doctors to focus on higher acuity, more medically-complex patients. Increased throughput. Nurse practitioners and physician assistants help increase throughput due to the presence of more providers than a program staffed by physicians alone. Ease of recruiting. Recruiting and hiring NPs and PAs is sometimes easier than attracting physicians, especially in rural settings. We hope these additional recommendations offer the necessary impetus to help you keep up the momentum with your New Year's profit-building resolutions or, if stalled, put them back on track. If you feel you need more assistance, browse our resources or contact us for more information on how we can help to align goals, generate better ROI, increase patient satisfaction and improve quality of care.